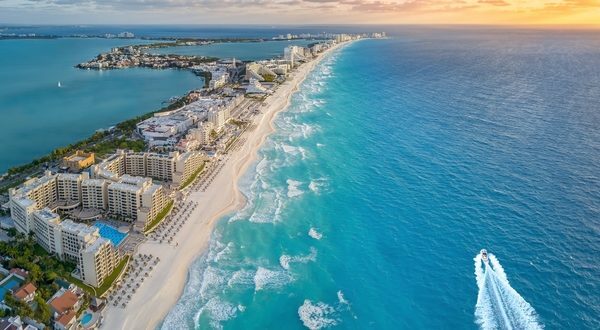 After hoteliers complained about a new Cancun eco-tax, the extra fees have been postponed until June. According to an exclusive report in Reportur, a complaint was made by the Hotel Association of Cancun and Puerto Morelos chaired by Roberto Cintron Gomez. On January 1, the municipalities of Puerto Morelos, Islas Mujeres and others began charging the eco-tax, which is just over $1 USD. The municipality of Benito Juarez (Cancun), however, requested a longer deadline to impose the tax and the levy had been eliminated by mayor Mara Lezama. The government of Quintana Roo, which passed the tax back in December, is trying to raise around 90 million pesos for the protection of the region. Ramos Hernandez, president of the Finance Commission, told Reporter that the collection does not affect hoteliers or the municipality. “The tourist is the obligated subject, although the resources can be used in various areas such as the fight against sargassum or to conclude the drainage network that is so needed for the citizens of Cancun,” he told local media. In addition, he considered that Quintana Roo must take care of the environment because it offers, exclusively, natural beauties.